St Peter’s Action and Community Enterprise (S.P.A.C.E) entered the local bus operator’s Green Santa competition for community groups across Sunderland. They submitted a winning response to the question ‘What could Stagecoach Green Santa give your community group to help the environment’ and won an eco prize of £250 which will be used to purchase wildflower seeds and plants to give colour and attract wildlife in the community. S.P.A.C.E involves a group of local people who meet every month to organise community events and address local issues. 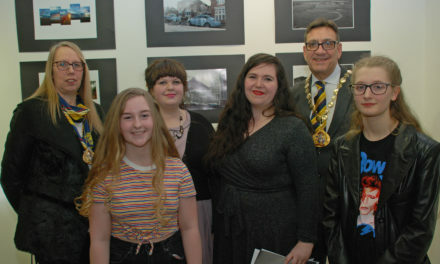 The group began its ‘Community Growth Project’ in the summer of 2017, with the aim of improving the neighbourhood by making neglected areas more attractive. Tracey Enguita, Treasurer at S.P.A.C.E said: “Last year we mostly cleared grotty areas near the Wheatsheaf that have become a target for fly tipping. “This summer we hope to plant wild flower seeds and plants to encourage people to stop dumping rubbish there and make the area nicer for the community. “We believe that a pleasant community appearance adds to home values, helps attract business investment and improves the neighbourhood reputation, and our research shows that beauty is one of the top three factors in creating community attachment, or loyalty, to a particular town or city. 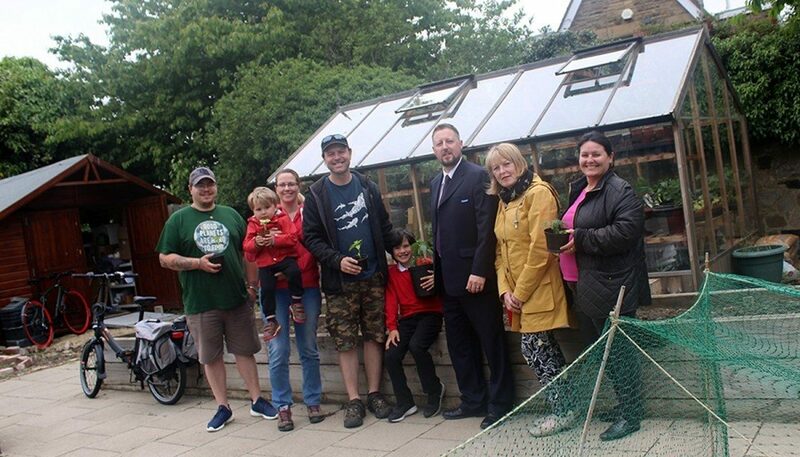 “We are working with the local community garden project, A Space2Grow at St Peters Church, to source our seeds and plants locally which are more sustainable. Stagecoach North East trainer and bus driver Wayne Doran went along to meet S.P.A.C.E community volunteers and see how they were using their prize money.